Here is a FREE Set of Animal Writing Pages. Each set contains two different kids of writing pages. The first pack of pages is a color and write pack. There is a large animal to color – one for each letter of the alphabet. Under each animal, there is a place to trace its name. The second pack included in each set is a handwriting page. 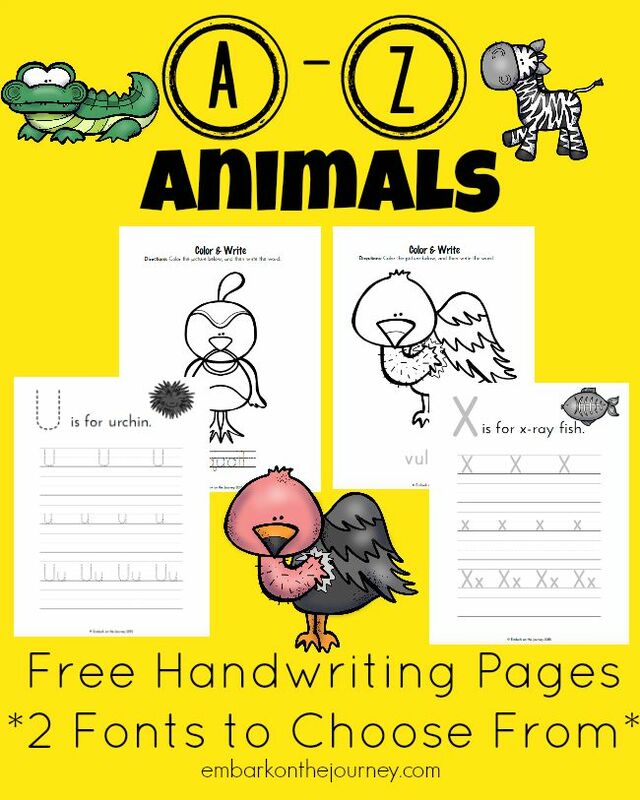 On these pages, little learners will practice writing the upper and lowercase letters of the alphabet.